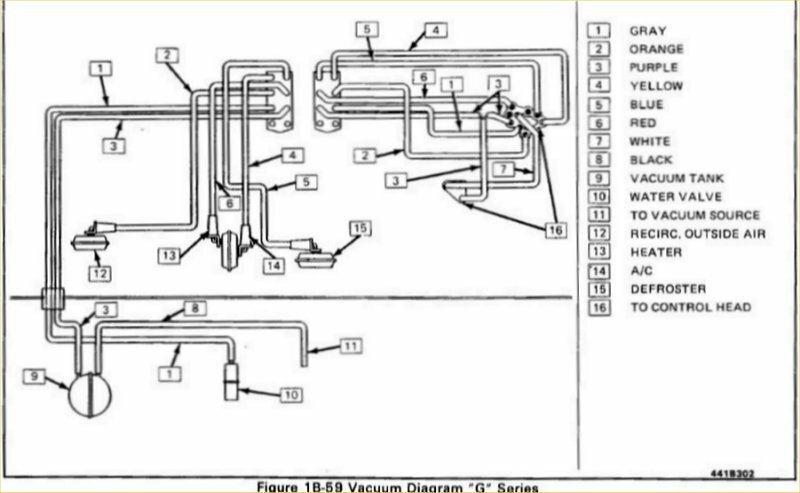 Note that the vacuum supply comes into the cabin via the purple hose #3. If you do not have vacuum under the dash on the purple hose, then you need to go back under the hood and find out why. You can also use a Mitey-Mite under the dash to supply vacuum to the vacuum control switch (#16 on the drawing) via the purple hose if you wish to confirm the operation of the control head and correct routing of the air flow versus selector position.